I needed a new passport, which I need to apply for in person at the German embassy in London. This was the reason I spend a couple of days in London at the beginning of the week. 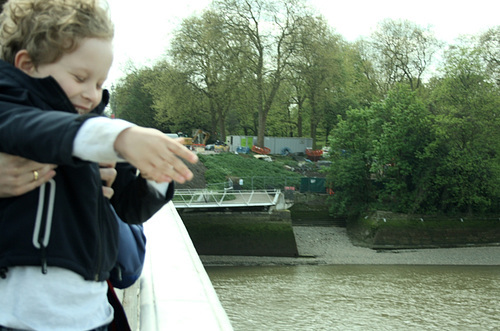 Of course I wanted to dispatch a bottle into the River Thames. Now I didn’t have any filled bottles left here. You noticed that it got a bit quieter here in the last months, and that has a couple of reasons. For one I was really busy with other stuff. 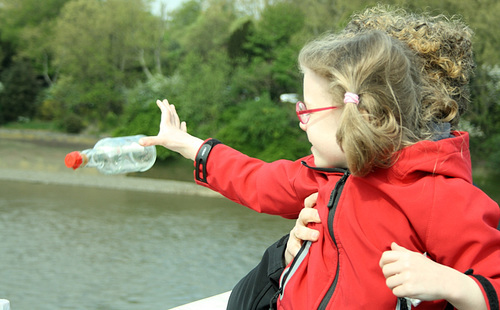 But also I am a bit frustrated with bottles put into the River Trent (I lived at the shores of the River Rhine before, and that was great for dispatching bottles). So I had to come up with new bottles on the eve of leaving. I made a couple of small prints in the last weeks, and thus wrote a little for a bottle, wound up a print (Nightlion, small), and then had to realise that it was too big for the small bottle. So I put it into a larger bottle, which I already colleted for when I run out of small ones (which honestly doesn’t seem likely to happen soon with the current rate of production). And then, because I really would rather stick to small bottles for now, I filled another bottle with two prints from my women with hats series of prints. 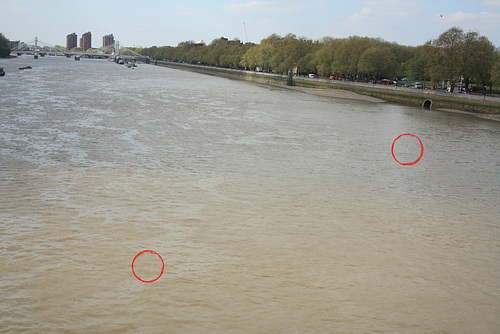 In the picture below you can see them both floating down the river. If you click on it, you go to an ipernity page, and there you can choose to “see all sizes” to actually see that the tiny white specks in the middle of the circles are actually bottles. Like always I am hoped for a good travel and happy finders for these bottles. 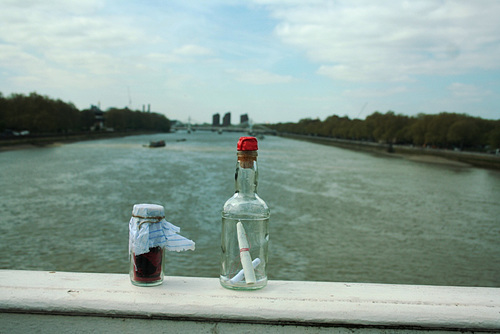 This entry was posted in Uncategorized and tagged dispatch, London, River Thames by flaschentiger. Bookmark the permalink.